The Orpington is a breed for all occasions. They can lay up to 200 eggs in a year, are thick and meaty birds for cooking, and are easily relaxed for showing. They’re a true triple threat in the chicken world! 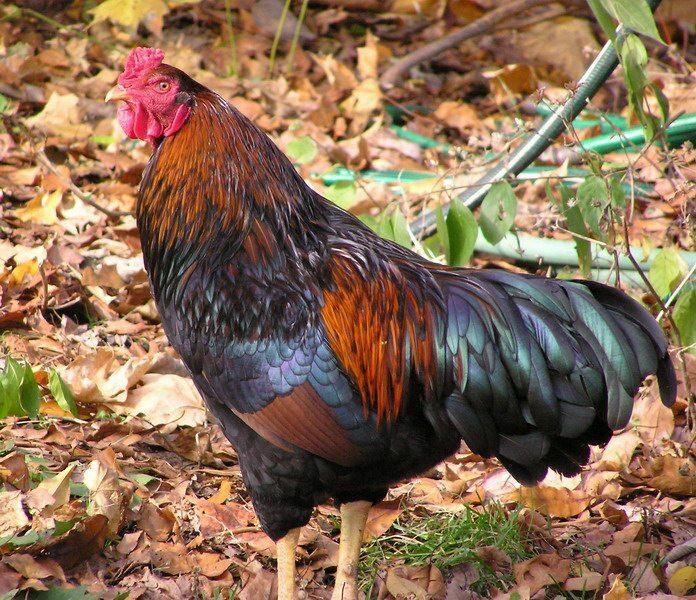 They tend to be a good choice for any chicken enthusiast just getting into the hobby or for any farmer needing a top-notch reliable chicken around the yard. 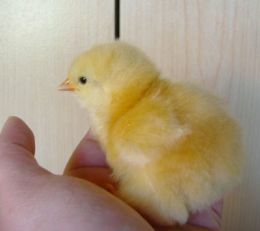 Orpingtons are friendly and relaxed, so much so that they can be training to feed from the hand. They are perfectly content in confinement, which goes along with why they make such good show chickens. They’re very active and like to roam around exploring, yet they aren’t too concerned when there isn’t too much space to do so. They tend to like each other and don’t get into arguments or squabbles either. 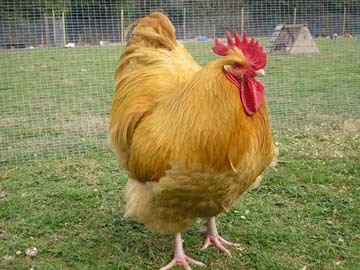 Orpingtons are huge and heavy with nice, squared bodies fit for both egg laying and meat production. The loose feather that characterizes the breed accentuates its broadness, culminating in a short but smooth sweep in the tail region. Orpingtons stand very low, at times even so low that their bottom feathers touch the ground. They have a single medium comb on their head with red ear-lobes and eyes. The most common colors are black, buff, white, and blue laced. Orpingtons don’t require much extra attention other than a clean run with dry bedding as their feathers will easily get wet and dirty from being so full and loose. Regardless, they’re too heavy to fly and don’t have very long legs for their body type, so a short fence is all that’s really needed to keep them from escaping. If, however, you want to keep their original coloring, it’s best to keep them out of the sun as much as possible, so adding plenty of shade along their run is imperative, otherwise their coloring will start to fade. 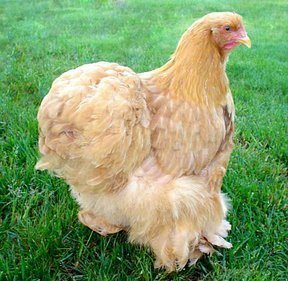 Named after the village of its creation- Orpington, England- the Orpington was breed by Willaim Cook during the late nineteenth century using a mix of other breeds, such as the Croad Langshans, Minorcas, Langshans, and Plymouth Rocks. 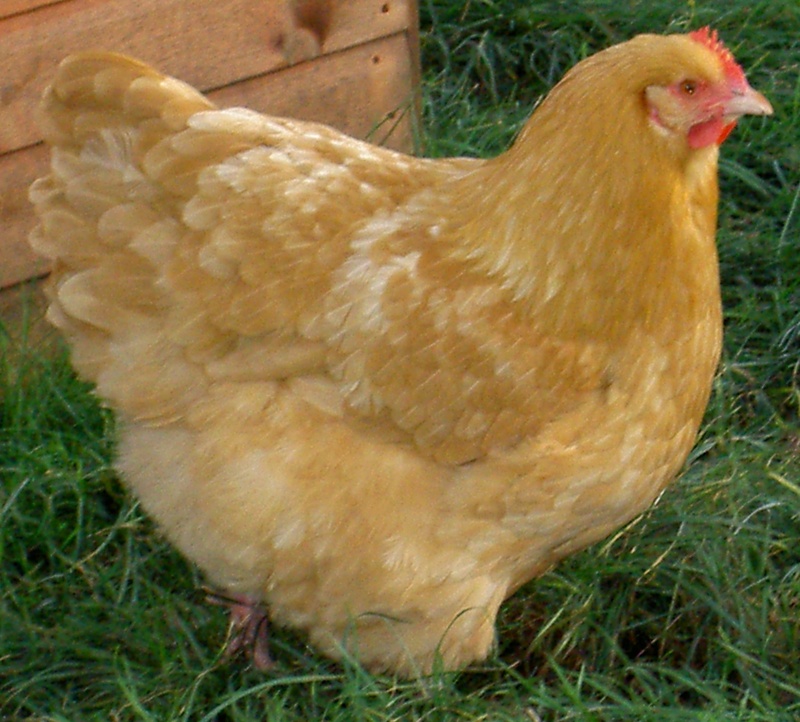 The Orpington took the most from the Langshan breed with the goal of crafting a breed that could be a laying machine, a goal that was accomplished. They were so good at laying, in fact, that documents from the time claim they could lay up to 340 eggs a year, though that number is highly suspect.